Did your school go from a handful of Chromebooks to hundreds this school year? Maybe you went 1:1 with your students or perhaps you added team or classroom sets. You probably spent hours and hours planning how to setup and deploy your Chromebooks. You spent many more hours creating professional development opportunities for your teachers to learn to use them in their classrooms. Congratulations, it worked! However, now that the end of the school year is approaching, you’ve realized you have hundreds of Chromebooks that you need to store during breaks and for the Summer. In many cases, you do not have carts for your Chromebooks. With the price of carts it’s hard not to think “I could buy X more Chromebooks for the price of a cart.” For what it’s worth, I agree with your decision. I’d love to hand you a blueprint, but there is not a one size fits all solution or plan for Chromebook storage. I can tell you there are several things you need to consider. This is true whether you store your Chromebooks in carts, on shelves, or anywhere else. Here’s some things to think about when putting together your storage plan. One of the great features of Chromebooks is how long they can run on battery power between charges. 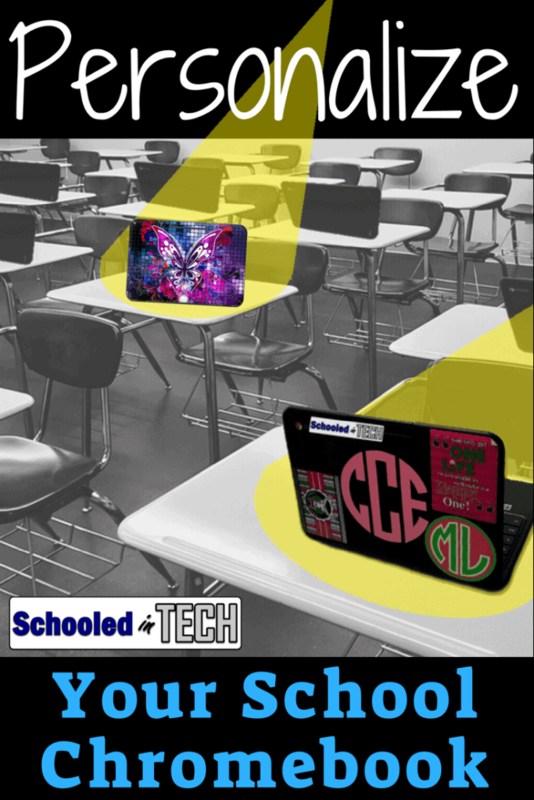 Students can easily use a Chromebook in every class and still have battery life remaining at the end the day. Batteries do not last forever though. Gradually, the usable time between charges will go down. Our goal is to slow that decline as much as possible. How we store our Chromebooks long-term will have a significant impact on the lifetime of the battery. The term “memory effect” refers to batteries not being able to provide power to devices using their complete capacity. Let’s say a fully charged device ran on battery power until it had 25% charge left. Then, instead of using the remaining 25%, the device was recharged. Eventually, the battery would begin to think 25% was actually 0%. Therefore, it would start only providing power to the device using 75% of its total capacity. That’s enough for the history lesson. Like I mentioned before, Chromebooks with their lithium ion batteries do not have this issue. However, it is possible to damage a Chromebook battery. Fully discharging a lithium ion battery is one of the worst things you can do for battery care. When your Chromebook is not able to run on its battery because it has run out of “juice”, the battery is still not completely discharged. It just can not provide enough power to run the Chromebook. Now, if you take this Chromebook and put it on a shelf for 2-3 months, it will fully discharge prior to using it again. This could cause irreparable damage to the battery. Instead, charge your Chromebooks before storing them. Most experts say to store lithium ion batteries with about 40% remaining in them. In a perfect world, we would check each Chromebook to make sure we were in the target zone. I don’t see how we can really do that with hundreds of Chromebooks and limited time. Instead my recommendation is just to fully or close to fully charge your Chromebooks before storing them. When you typically use a Chromebook you probably don’t shut it down between uses. Either you log off and close the lid, or you lock the Chromebook by closing the lid, or let the Chromebook sit. In all of these cases (with default settings) the screen will turn off eventually. It doesn’t shut down though. Instead it goes into standby. Standby only uses a little about of power, but it does still use it. Remember, we are trying to make the current charge last through the summer. Instead of using standby, we want to completely shutdown the Chromebook. You can do this by hold down the power button on the Chromebook until the screen goes blank. This should take less than 5-7 seconds. When you release the power button the screen should remain blank. Occasionally logging off or shutting down your Chromebook is also important for keeping your Chrome OS update to date. I explain more about this in my post 3 Tips To Make Sure Your Chromebook OS Stays Up To Date. It doesn’t matter if you have a $200 Chromebook or a $1000+ Macbook, your battery will degrade. It is going to be worse today than it was yesterday and better today than it will be tomorrow. Now don’t worry, unless the battery just completely fails, we are talking fractions of a percent change. I bring this up just to point out battery degradation is not limited to Chromebooks. Did you know that most manufacturers only cover laptop battery replacement for the first year even if you buy an extended warranty? This is true for Chromebooks too. Though the battery will not last forever, we do hope to get 3-4 years of decent use out of them. However, you do need to plan for needing to replace some batteries after the first year warranty is up. You don’t need a crystal ball to determine how well a Chromebook battery is performing. Chrome OS has a built in battery test you can run. It runs from a command line in crosh, but is easy to run. Also, anyone can run the test, including students. The steps above will run the battery test for 10 seconds. By default the test runs for 10 minutes or 300 seconds. Running the test for that long isn’t necessary to get the information we need. The main info we are interested in is Battery Health. As long as the health is above 50% I wouldn’t worry about the battery. Will it last as long as a battery with 85% health? No, but it still can run for several hours. If the battery health is less than 50%, I still would not immediately replace it, but you may want to keep it on your radar. You might need to replace it during the upcoming school year. If you plan to have students run the battery test on their Chromebooks, I recommend doing it at the end of the year rather than the beginning for two reasons. It will give you an early indication of how many batteries you need to budget for during the next school year. Students will compare their battery health to their peers’ Chromebooks. Inevitably some Chromebooks will have better battery health than others. This can lead to students thinking their Chromebook is not as “good” as another student’s. The truth is the Chromebooks can all perform the same tasks and access the same websites and apps. It’s just some of the batteries will last longer than others. In many cases we are talking about a difference of minutes. In education its common to have money available now that you may not have available later. If you have 500 Chromebooks you may think about going ahead and buying 200 batteries to hold until you need them. Don’t! Just like the batteries currently in the Chromebooks, the spare batteries are susceptible to the same full discharging issues I talked about earlier. You’d hate to find out down the road that your spare never used batteries, never will be used, because they do not work. Also, Chromebook models refresh often. The odds of future Chromebooks you buy using the same battery are not good. So, I think we have pretty well covered the topic of batteries. Thanks for hang in there! Besides charging your Chromebooks, let’s look at other considerations when storing Chromebooks for the summer. Extreme heat and fluctuations in temperature are two other causes of non-working Chromebook batteries after long-term storage. For obvious reasons, most school classrooms are not kept cool and/or at a consistent temperature when school is out of session. It is important that your Chromebooks are stored in a room that does not get too hot and remains a pretty consistent temperature. This is mainly for the benefit of the……batteries. Yeah, I know I said we were done with batteries. I promise, this is the last thing about them. Some experts say storing them at 60 degrees Fahrenheit is ideal. I’ll wait for you to stop laughing. We all know that isn’t going to happen. More realistically the Chromebooks should be stored in an area that will keep a consistent temperature in the 70-78 degree range. I know consistent temperatures are also hard to control. What we really want to avoid is a room that drops to 65 degrees at night, but shoots up to 90+ degrees during the daytime. Also, Chromebooks should not be stored in an area in which they get direct sunlight. Once you have found your storage room you need to think about how to store your Chromebooks. More than likely, space will be an issue. Even if the room is large, schools often empty rooms for cleaning during the summer. This may limit how much of the room can actually be devoted to storage. If you are forced to use a room or rooms that will eventually be emptied for cleaning, I do have a suggestion. Work with your custodial staff to find a room that can be cleaned last. Preferably, after teachers have come back to work. Secondly, figure out where you want the Chromebooks to be for the start of school. This will definitely depend on how students access the Chromebooks. Will they go into classrooms as class set? Are they in carts? Are you going to check them out to students as part of your 1:1 program. Knowing where you want the Chromebooks to end up can greatly decrease the amount of times they have to be moved. You will probably have to stack your Chromebooks due to space constraints. I recommend not stacking more than 8 Chromebooks. You want to avoid putting too much stress on the bottom Chromebooks. Do not store your Chromebook books with power cords plugged in. Also, remove any headphones and/or peripherals plugged into the USB ports. This will help avoid damage to the peripherals or Chromebooks when they are moved. What if you didn’t store your Chromebooks? What I mean is, what if instead of the Chromebooks sitting on shelves and desks all summer long, they went home with your students? There are definitely things to think about when considering a summer take home program. Will some Chromebooks be lost? Yes, some will be lost and some students will move away and not return them. If you are managing your Chromebooks in the Google Admin Console then it is possible to disable lost Chromebooks. Letting students know this upfront may be a good idea. Will students use them? I can’t answer that for you. I’d like to know what students say.If students will use them, is that better than them sitting on a shelf? Does this save time getting them updated and checked out for next year? A summer take home program would take a good bit of thought, but I wanted to at least put the idea out there. We all want our Chromebooks to work just as well next school year as they did this school year. Hopefully, these tips with help make that happen for you. Check out my other posts on managing and using Chromebook in the classroom. Yes, if I decided not to replace the screen. I would save the entire Chromebook. The casing, bezel, battery, internal cables, etc… can be used in other identical Chromebooks. Often you can make one working Chromebook out of two damaged ones. Thank you for your response. My technology dept. saves everything but the batteries. I was curious what others do. Have a great rest of your week! Thanks Thomas, That was one of the items we were contemplating was storage or take-home for the summer as we will be going 1:1 in August when school restarts. Good to know about damage to a drained battery. Any tips for summer care of Chromebooks in carts? I would follow the same suggestions for carts as those not in carts. Once the cart is charged, I would unplug it, unplug the power cables from the Chromebooks, and store the whole cart in a cool location.